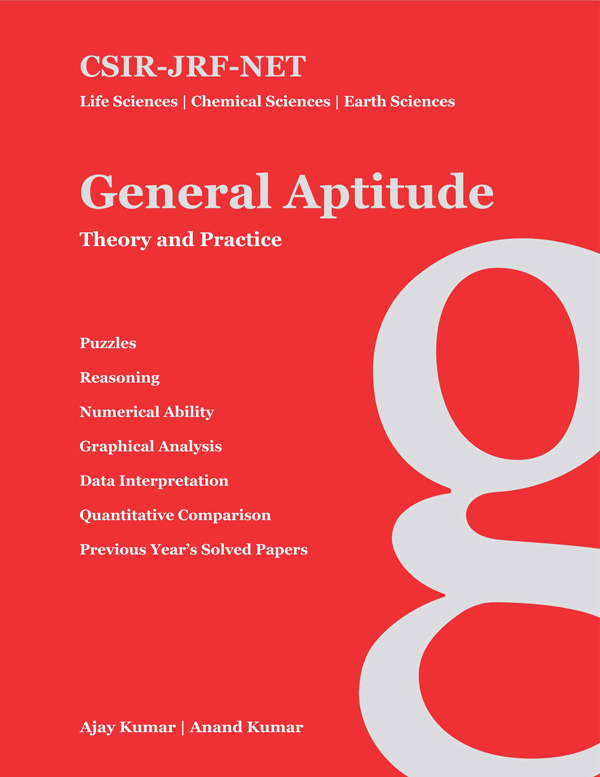 The Book “General Aptitude - Theory and Practice” for CSIR-NET has been developed to augment the preparation of part A of the CSIR-NET examination in various subjects such as life sciences, physical sciences, chemical sciences etc. The book has been written strictly in accordance with the prescribed syllabus and contains sequential chapters on, numerical ability, quantitative comparison, reasoning and data interpretation & analysis. Besides a large number of practice questions and quick tricks to solve the questions, eight previous year solved question papers have also been included (four years) to enhance the understanding of previous trend, pattern and build confidence during exam preparation. Nevertheless, aptitude also forms the basis of many other national level exams such as MAT, CAT, banking PO, SSC etc. suggesting a much broader span of readership of this book.